Microsoft has announced the free Xbox One and Xbox 360 titles that will be added to the Games with Gold program next month. DICE’s Battlefield 1 puts you in the boots of various soldiers during World War I in a vignette-style single-player campaign. 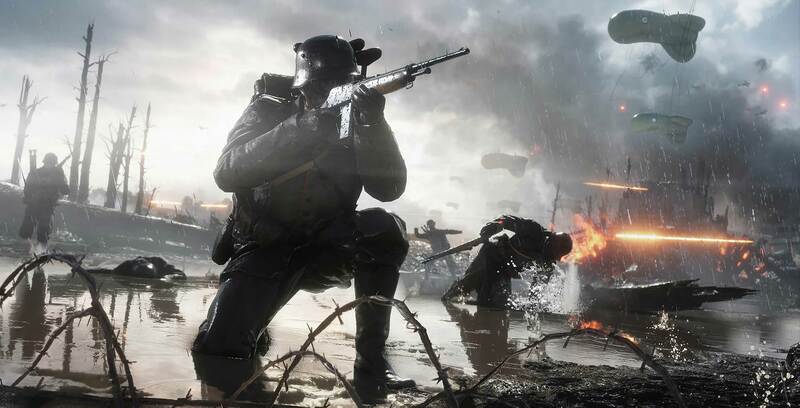 Meanwhile, Battlefield 1 brings the franchise’s signature destructible environment and vehicle-based multiplayer to greater-than-ever heights with a suite of modes that support up to 64 players. Battlefield 1 released on Xbox One in October 2016 and regularly costs $51.99 CAD. It’s worth noting that Battlefield 1 is already one of the titles included in publisher Electronic Arts’ EA Access service for Xbox One. Inspired by classic arcade games, Flippfly’s endless runner Race the Sun challenges players to beat high-scores while avoiding obstacles in a spaceship. All the while, you’ll be earning experience points that can be used to purchase rewards and boosters for more efficient racing. Race the Sun released on Xbox One in April 2017 and regularly costs $9.99. As the game that kicked off the long-running action-adventure series, Ubisoft Montreal’s Assassin’s Creed introduces players to the high-tech Animus system, which can be used to experience the lives of the ancient brotherhood of Assassins. The first Assassin’s Creed focuses on Assassin Altaïr as he fights against the evil Templars over the mysterious artifact known as the Apple of Eden. Assassin’s Creed originally launched on Xbox 360 in November 2007, while backward compatibility support for the game on Xbox One was added in November 2016. The game regularly costs $29.99. Developed by the now-defunct Visceral Games, Dante’s Inferno offers an action-packed take on Inferno from Dante Alighieri’s Divine Comedy. As the titular hero, players will need to fight through the nine Circles of Hell to rescue Beatrice from the clutches of Lucifer. Dante’s Inferno originally released on Xbox 360 in February 2010 and came to Xbox One via backward compatibility in July 2018. The game regularly costs $14.99. While you wait for these November Games with Gold titles, October’s free games are still available for download.